Now, if you’ve been reading us for any amount of time, you know that we’re not just Bangkok sightseeing lovers, but also Bangkok food lovers. 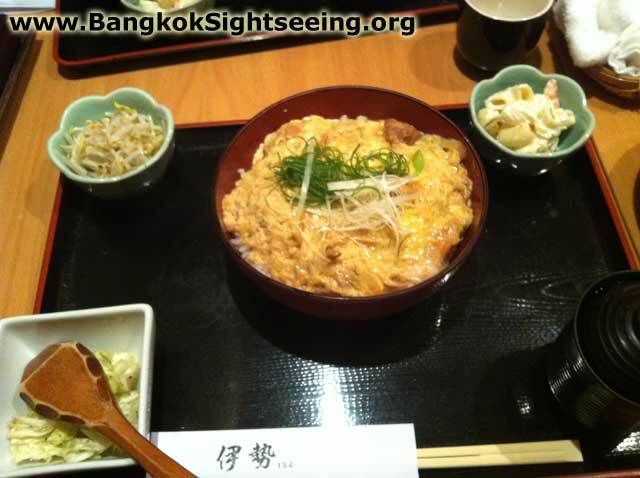 That’s why we checked out Ise restaurant, a Japanese place near Phrom Phong. They actually do belong to the Ise restaurants in Japan, in case you know of them. It’s (very) budget friendly for a Japanese place. A menu (including a main meal, a soup, a small bowl of noodle salad and deliciously prepared soy beans, tea or coffee and a dessert) costs below 300 baht. My main meal of choice was Oyako-Don. 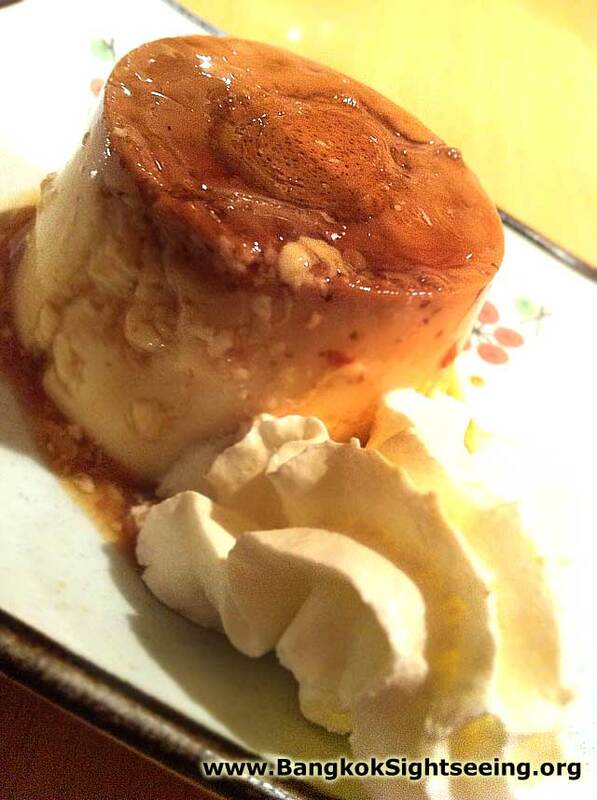 pPremium Japanese steamed rice that has been cooked in a special sweet sauce. On top of that, fresh (soft) egg and chicken. Yet, the food is good (but not great, more like just a little above average good) and VERY filling. I know a lot of people who think that Japanese food almost leaves you feeling hungry. Don’t worry about that at all. A positive surprise where the soy beans, which were very yummy, even though we’re not very fond of these usually very plain* tasting fellows. The soup was also very nice. well, a highlight definitely was the dessert. Not masterfully prepared – but if you’ve just got the munchies, it’s great. Now, overall this place is good. The quality of the ingredients, the cleanliness of the place – all nice, all good, and all a bit better than what you can usually expect in that price range, and considering that it’s not a big franchise chain. The staff is also friendly and nice. Yet… the food is somehow lacking the edge. It’s good, but somehow not “gut genug” (good enough, as my German friends know). It’s just a bit too plain. It tastes… “correct”. As if someone has copied and pasted a good cookbook recipe. But in a way, that makes it too mechanical – I didn’t feel that there’s someone in the kitchen who poured his heart into it, somebody with a passion for food. (That might be totally wrong of course – that’s just the impression I got from eating the food, not from watching the kitchen staff)! 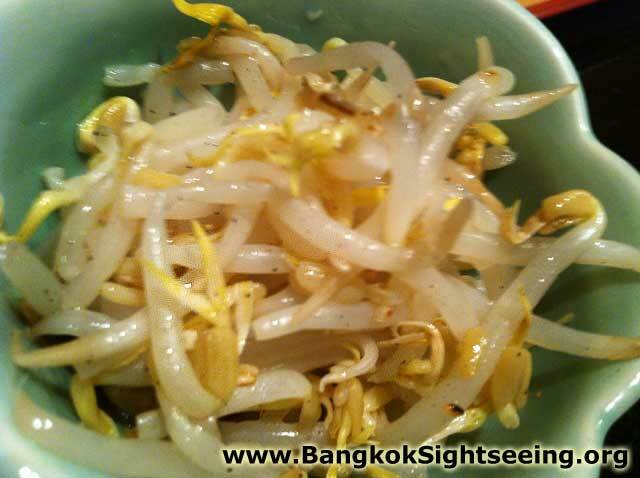 If you want to give this a try, head to Sukhumvit Soi 39 (BTS station Phrom Phong, near the Emporium). 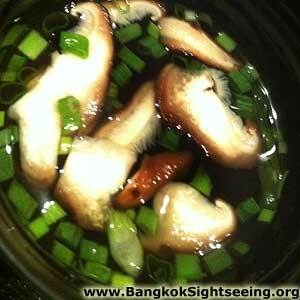 Then walk down Soi 39 for a couple hundred meters, until you get to the Romana restaurant. That’s the most visible sign that you’re in close vicinity. Then, watch out for the most difficult to spot Japanese restaurant that you can find there. That’s it. Unfortunately, we didn’t take a picture of it from the outside that would help you to find it. With respect, but I totally disagreed i was there yesterday. All staffs are not well-trained and rude. They have shown a really bad manner and rude response to me. I will never go back to this restuarant again. It was on april 10. What i experienced was all of the staffs are very Not friendly and one are rude to us. 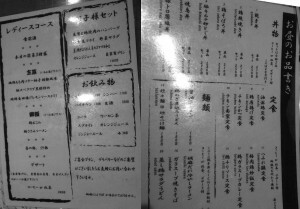 That day, Four of us has an appointment since Ise is one of my friend favorite japanese restaurant in Bangkok. Three arrived first we sat at the table for four and didn’t order yet, five mins later two more came(my friend brought another japanese friend without telling us) so we asked the waitress to make table for five instead. She was yelling at me with bad face that I booked for only four! It seemed like she got very moody even many tables are available as the restaurant just opened. We felt so mistreat and no respect that the waitress responded like that but we tried to calm down and did not response. While we having dinner, my friend asked for chili oil for three times and did nt get it. They got the chili powder of him instead after waiting for and keep asking for three time. Shouldn’t they just told us they do not have it at first. Moreover, our waitress can not speak even basic english or japanese and she had to ask for translation with another waitress. And she did not know how to serve as she put the set out of tray instead serving as a set. Above mentioned are three different waitresses. To me, i cant stand the yelling part when we wanted to have table for five. If you know the owner or manager, pls pass this message to them so they have a better trained staffs and others costumers wont experiences this terrible service at Ise.